Hosted by David and Nycci Nellis. On today's show: *	Between 1939 and 2015, Montgomery County lost 71 percent of its farmland. That loss was slowed in 1980, when citizens, farmers, politicians, and planners created the Montgomery County Agricultural Reserve, recognizing the value of land set aside for the environment, farming, history, and community. Claudia Kousoulas and Ellen Letourneau are in to discuss "Bread and Beauty: A Year in Montgomery County's Agricultural Reserve;" *	Mission Navy Yard, the enormous bar and restaurant, is now open across from Nats Park. Fritz Brogan and chef Roberto Hernandez are in with tastes and talk of	Mission Navy Yard;	*	According to the National Restaurant Association, African-Americans make up only 8% of restaurant owners and the same share of restaurant managers. So rhe industry, the community and patrons across the board need a wake-up call: from Nov. 4 to 11, D.C. celebrates Black Restaurant Week and, with it, the city's top talent in food and drink. In with us today for a roundtable discussion are: o	Two of the event's three cofounders; (1) Dr. Erinn D. Tucker, director of Georgetown University's global hospitality leadership master's program; and (2) Chef Furard Tate, who provides training, mentoring, and teaches job skills; o	Meggrolls founder and food truck entrepreneur Meghan Baroody. Meggrolls was named a Top 25 Food Truck in Washingtonian Magazine's Ultimate Food Truck Guide in 2014, was featured in Southern Living Magazine as offering "some of the South's most Inventive meals" and voted "Best Food Truck" this past summer in Northern Virginia Magazine. o	Grey Goose Ambassador Earlecia Richelle. Living and working in New York City, she developed a distinct conceptual style, fusing culture, history, and cocktails to open new avenues of communication and creative expression. *	And then there's our drinks segment. Eric Kozlik is a D.C.-based cocktail entrepreneur, educator, and podcaster. He is the CEO of the Modern Bar Cart, a cocktail platform helping home bartenders and industry pros make better drinks. And... he's gonna make some for us! Hosted by David and Nycci Nellis. On today's show: *	EMP 180 Weight Loss, whose staff provides nutrient-rich foods and total-care counseling. Clients receive food each week that they choose from a menu. EMP staff provide breakfast, lunch and snacks. EMP staff give specific guidelines to clients on their dinners. If clients want to use their own foods, they can request a customized meal plan. In to tell us about it are owner Eric Candelori, consultant Kim Spivak, and local restaurant industry veteran Drew Swift, who is down over 150 pounds. Oh yeah, and David is also on the weight loss program! *	Bart Yablonsky, owner of Dawson's Market in Rockville, a local, natural foods grocery store, with Passover and Easter menus; *	Paul Williams, beverage program director, and Mike Huff, culinary director of the Metropolitan Hospitality Group. MHG is a locally owned and operated restaurant group focused on providing exceptional seasonal fare, craft cocktails and hospitality. It owns and operates CIRCA and El Bebe, which recently opened in the Navy Yard district. MHG also operates Open Road and Trio in Falls Church. Hosted by David and Nycci Nellis. Talk about visiting the four corners of the earth for good food and drink. On our show were award-winning Kaz Okochi chef/ owner, of Kaz Sushi Bistro, celebrating its 20TH ANNIVERSARY!!! In business (How many restaurants anywhere can say THAT?! P.S. Chef Kaz also has a piece of DC history: He's one of the few chefs in Washington formally trained in the Japanese delicacy of fugu (blowfish) and the first one to serve it in the city back in 2001. ); Grover Smith, founder of ChefsFeed Indie Week and chef Zachary Meloy, of Pulpit Suppers/Better Half, in with details of ChefsFeed, a traveling event featuring 24 all-star chefs, ranging from James Beard finalists, Michelin honorees and Top Chef contestants, all in DC for this national dinner series from bringing brings diners up close and personal with culinary talents as they cook collaborative 12-course meals at the nation's hottest restaurants. ; the charming Tuba Sapanli of Mediterra Seafood Restaurant and fish market, in with news of great, sustainable seafood, oven-ready, meals to go and "Make your own meal kits" which you pick your choice of protein and vegetables from a variety of easy to prepare; Chalisa Pornpornprot of Thai Chef, talking Thai New Year celebrations and the restaurant's special events and offering to celebrate, and finally, buy never last nor least, the boys from 2019 RAMMY finalist Caboose Brewing Company, Caboose's Head of Brewery Operations, and Tim McLaughlin, one of the original owners of Caboose Brewing. Like ... who would want to miss all this?! Hosted by David and Nycci Nellis. On today's show; *	Elise Museles is a certified eating psychology and nutrition expert, creator of the Food Story platform and host of the podcast, "Once Upon a Food Story." Her mission is to empower women to create a healthier relationship with food and their bodies by reframing the way we think and feel about food. *	And we'll have our first-ever call-in from Greece, when Dr. Jerolyn Morrison, a potter, anthropologist and archeologist specializing in Minoan cooking pots and cooking, joins us. She's been working in Crete since 1997, exploring the island's culinary culture and cooking pots. Cretan culinary history, Minoan culture and how they tie to modern dietary and cooking needs are her thing, and we'll dig into all of it with her. *	The Embassy Chef Challenge is celebrating its 11th year on Tuesday, April 2 at the Ronald Reagan Building. Dries Molken is the executive chef to the ambassador of Belgium. He's in, along with Chinyere Hubbard, vice president of communications and marketing for Events DC, under whose auspices the challenge is being held. *	Since 2009, Cookology has been one of the only few home grown cooking schools in the D.C. area. Maria Kopsidas is owner of Cookology at the Dulles Town Center and a new location in the Ballston Quarter shopping mall. Cookology offers hands-on cooking classes in a commercial kitchen. Bill Thomas is the owner of the Jack Rose Dining Saloon, home to the one of the largest publicly available whisk(e)y collections in the world with more than 2,700 expressions. On Sunday, April 7 Jack Rose is hosting a whiskey festival: the 2nd Annual "Premier Drams" - a celebration of cask strength, new and rare. Hosted by David and Nycci Nellis. On today's show; Chef Doug Psaltis has worked in some of the world's most prestigious kitchens and, along the way, picked up three stars from The New York Times and a Michelin star running the kitchen at Country restaurant in New York City. Today, he is a chef/partner with Lettuce Entertain You, running RPM Italian and RPM Steak in conjunction with celebrity couple Bill and Giuliana Rancic; Christian Eck is assistant food and beverage manager and tea specialist at the Park Hyatt's Blue Duck Tavern. The Blue Duck has 35 different kinds of tea on the menu, and Christian's in with tastes and talk of many of them and news about the new three-course tea menu; 412 Food Rescue's technology platform, also known as "Food Rescue Hero," is an end-to-end system that matches food donations to the appropriate nonprofits, coordinates a last-mile transportation network of volunteers, trains volunteers on food safety and tracks data and analytics-measuring impact on hunger and the environment. Food Rescue Hero's Leah Lizarondo tells us how it works; Chef Alvin Dela Cruz is the chef de cuisine at the Westend Bistro in the Ritz-Carlton Washington and a legend in the making. He's introducing tasty new treats at the Westend and he's in to tell us all about them; Valor Brewpub is a veteran-inspired restaurant and brewery just across the street from the 8th and I Marine Barracks. Valor makes it a point to employ veterans, use veteran-owned products and support veteran causes, donating 10% each time a veteran organization or non-profit hosts an event there. Greg Maddrey, the brewmaster, is in today with a taste of Valor. Hosted by David and Nycci Nellis. On today's show; *	Andrew Dana of Timber Pizza and Call Your Mother fame is reopening the Supper Club at Call Your Mother and opening Turo Pizza in Ballston	*	You know her. You've seen her. You wonder how you can get her gig! Samantha Brown, host of the PBS series "Samantha Brown's Places to Love," will be with us. And, you can meet her next week, because she's headlining next weekend's D.C. Travel and Adventure Show at the D.C. convention center. *	Is it "prah-leen," "pray-leen" or what? We'll find out when Susan Lim, cofounder of the Praline Bakery in Bethesda joins us for tastes and talk of her delish offering. *	Among Washington's many monuments is the venerable Mayflower Hotel. standing on Connecticut Ave. since 1925. The Mayflower has always set D.C.'s standard for elegance and beauty. Today, the always updated Mayflower still sets the standard for luxury, elegance and peak service. To prove the point, we've brought in members of the Mayflower's team to tell you all about it. 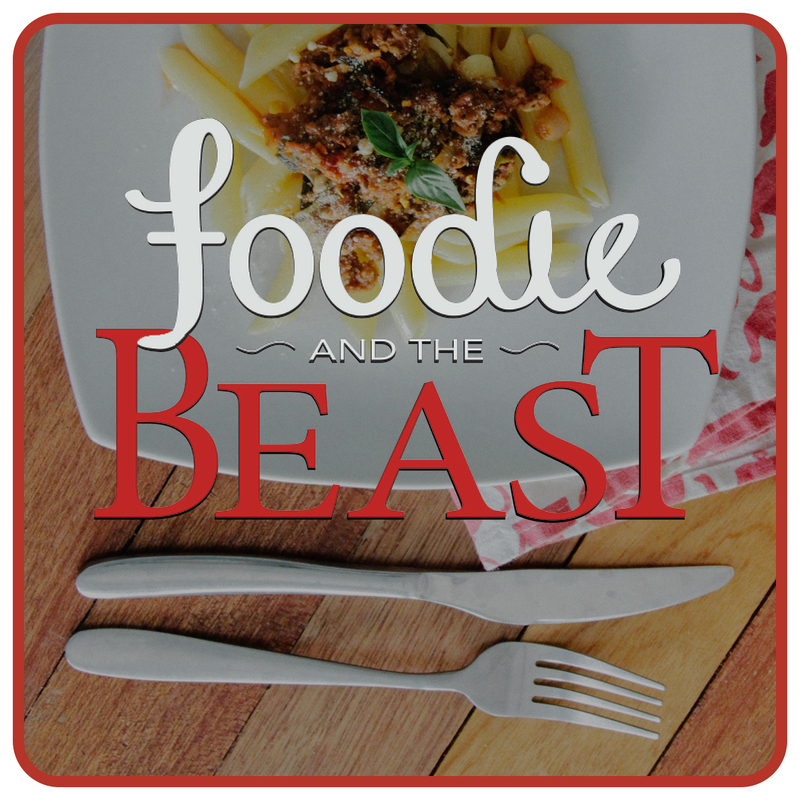 *	If it's Sunday, it's time for "Foodie and the Beast," and if it's Foodie and the Beast, then there always have to be drinks! Yay! With cherry blossom time right around the corner, we've invited in Ryan Ward, beverage director at Momofuku to treat us to cherry blossom-themed cocktails and more. Hosted by David and Nycci Nellis. On today's show; *	It's time once again for Fairfax Restaurant Week! Great eats and libations at fixed prices you can't help but love, too. Jinson Chan, founder and co-owner/general manager of High Side and Chris Bruno, economic Development Director for the City of Fairfax, are in to tell us all about it. *	And today we have with us the original man of La Mancha! Manuel Manzaneque, winegrower/maker from La Mancha, is in with tastes and talk of his incredible wines of Spain. He is joined by wine marketer Andrew Holod of Grapes of Spain. *	The Smoked and Stacked location on Ninth St. has morphed into something even better - Tin Shop, a creative bar and restaurant development group founded by Geoff Dawson and Peter Bayne. March 7 they're opening Tall Boy, serving day-into-late-night treats like killer grilled cheese sandwiches, cocktails, and, of course, tall boys: Schlitz, Guinness, PBR, Bold Rock Cider, Burly Oak Lost IPA, Union Duckpin, Flying Dog Numero Uno and Terrapin Hopsecutioner *	Drinks!!! Serena Huggard is a brand ambassador with Tullamore D.E.W. Irish Triple Blend Whiskey. Fortunately for us, this ambassador has come to the embassy of Foodie and the Beast with a selection of sips from Tullamore, so put on your seatbelts and get ready for some liquid fun from the Old Sod! Hosted by David and Nycci Nellis. On today's show; *	Less than 4% of the federal government's funding for cancer research is goes toward pediatric cancer research at the Children's National Health System. Chance for Life's Brad and Callie Nierenberg are in to tell us about the organization's many good works and about some upcoming events. *	Born in Iran, Najmieh Batmanglij has spent 35 years cooking, traveling, and adapting authentic Persian recipes to tastes and techniques in the West. Hailed as "the guru of Persian cuisine" by The Washington Post, her cookbook "Food of Life" was called "the definitive book on Iranian cooking" by the Los Angeles Times. Her "Silk Road Cooking" was selected as one of the 10 best vegetarian cookbooks of 2004 by The New York Times; and her book "From Persia to Napa: Wine at the Persian Table" won the Gourmand Cookbook Award for the best wine history book of 2007. Her newest cookbook is "Cooking in Iran: Regional Recipes & Kitchen Secrets." It's out now, and it is a masterpiece. Najmieh is in to tell us all about it. *	Whenever you're craving a taste of good health, Flower Child complies, with farm-fresh grains, greens and wraps, along with refreshing flavored lemonades, kombucha, organic wines and beer. Flower Child's Jessica Mulroy and Monica Copeland give us the 411. *	Noe Landini is the owner of Junction Bakery & Bistro. Opened in 2016 in Del Ray, Junction creates breads, pastries and specialty desserts in-house daily, along with breakfast, lunch, brunch and now dinner. Noe is in with Chef James Duke to tell us all about it. *	Any regular listener knows we always have a drink segment. And, if we're gonna have something to drink, it's gotta be good. That's why the City Winery's beverage director, Sam Miller, is in today with a tasty sampling of great wines, produced right here in D.C. Hosted by David and Nycci Nellis. On today's show; *	I Ricchi is D.C.'s legendary, award-winning, nowhere-does real-Italian-food-better restaurant. Its equally legendary chef/owner, Christianne Ricchi, is in today to talk about where the restaurant is headed into its fourth decade and about what it talks to remain true to "la vera cucina italiana;"	*	Bettina Stern is the co-founder of Chaia, a seasonal vegetable taco company that gives customers fresh, flavorful plant-based ingredients. Stern and her business partner Suzanne Simon brought their unique restaurant concept to Washington D.C.'s farmers markets, where it instantly created long lines. Within weeks of their debut, Chaia was selected by the Washington Post "as one of D.C.'s top nine up-and-coming tastemakers." Now Chaia has two brick-and-mortar locations in D.C. - the new one is in Chinatown; *	The Sally restaurant opened at The Fairfax at Embassy Row hotel in December 2018. The Sally's chef is French-trained Ricrado Planas, who most recently served as chef de cuisine at the Cafe du Parc at The Willard Intercontinental Hotel;	*	Black Betty vodka, Picaroon rum... famous spirits are coming out of Blackwater Distilling. Its regional head of sales, Vince Tyson, and brand ambassador, Jamie Imhof, are in to tell us more and to serve some up. Hosted by David and Nycci Nellis. On today's show; *	Jill Erber of Ballston's Cheesetique, which is the go-to neighborhood spot for fine cheeses, food-friendly wine, and an eclectic, cheese-centred menu. *	Sukey Jamison and her husband, John, own and operate Jamison Farm and Jamison Packing in Latrobe, Pennsylvania. The Jamisons' farm produces some 3,000 lambs annually, which are destined for great cooks at home and the finest chefs and restaurants in the world. And they are authors! Their new book, "Coyotes in the Pasture and Wolves at the Door," is filled with stories taking you from their farm to your table. *	Danya Degen is the sommelier at Little Pearl. Liv Caillabet is GM of Toki Underground. The two friends share an appreciation of lesser known reasonably priced wines, especially those that can be paired with ramen and dumplings. So, they created Common Cru, a monthly food and drink series at Toki Underground. *	Located in an historic warehouse on Georgetown's canal, Dyllan's Raw Bar Grill is a dining out gem. Owners Donald and Amy Carlin have a great story to tell, along with great foods to serve. *	Claude Thiebot , Thibaut-Janisson Winery partner, is in with a fabulous selection of Virginia sparkling wines. Hosted by David and Nycci Nellis. On today's show; As Homer Simpson famously says, "uhmmm...donuts!" Nothing's better. That's why we've invited Greg Menna in for tastes and talk of District Doughnuts, which just opened its fourth location at Union Market. *	Guess who's back? Every year, Greek chef Aglaia Kremezi comes to D.C. to work with Chef Michael Costa and the Zaytinya team. As Zaytinya's chef partner and "Greek grandmother," (also known by the Greek term "yia-yia)" they cook, taste and talk about authentic flavors and traditions that inform the restaurant's menu. *	Bloomingdale's woman-owned Tyber Creek offers seasonal food and a curated wine program. Chef/owner Jordan Stahl is in to tell about this neighborhood restaurant success story. *	Shouk's modern Israeli street food has taken Downtown D.C. by storm and has just introduced a plant-based shawarma made entirely from oyster mushrooms. Co-cofounder Dennis Friedman is in to give us a taste. And Guinness has opened a brewery (and more!) in Baltimore, and head brewer Hollie Stephenson is in with the 411 on the new Guinness Blonde.